Product prices and availability are accurate as of 2019-04-13 07:06:46 EDT and are subject to change. Any price and availability information displayed on http://www.amazon.com/ at the time of purchase will apply to the purchase of this product. Mitsuba (Cryptotaenia)Japanese wild parsley-1000 Seeds This native Japanese herb is called Japanese hornwort or Japanese wild parsley. It is a popular traditional vegetable of Japan. Long, attractive stalks have trefoil leaves that are aromatic. Although perennial by nature, this plant is grown as an annual food crop. Excellent grown as microgreens. 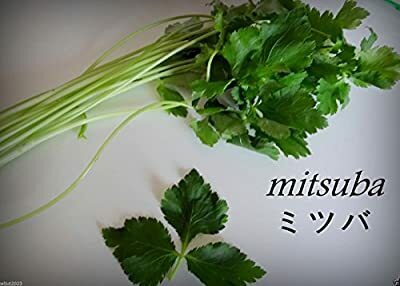 Mitsuba is also known as Japanese parsley, Japanese Chervil, Japanese wild parsley or honeywort. 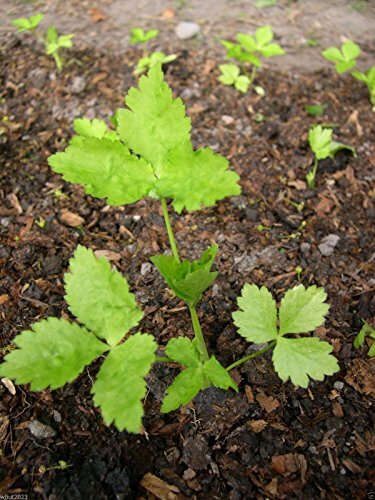 Mitsuba - a delightful Japanese herb with a clean fresh flavor reminiscent of angelica, celery and parsley. Leaves, root and stems are used raw or cooked, seedlings and young leaves added to salads. The seed is used for seasoning and the stem can be blanched and used as a celery substitute. The cress-like young seedlings are used in salads and the stems and leaves are chopped and used to flavor a number of dishes. 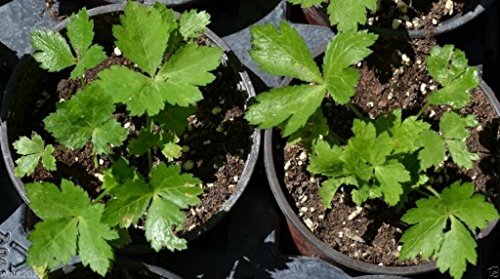 The leaves which are dark green look a little like oversized flat leaf parsley. Though the plant's stems are cooked in the Orient for special uses (such as tying up sushi rolls), in western cuisine what's wanted is the leaves - used raw, not cooked into dishes, as cooking destroys the flavor (as with chervil). Cultivation: A woodland plant, grow in a moist, moderately shaded area (especially during summer) for best results. Sow seeds intensively in spring after last frost or fall (mild climate areas) in rich, well-drained soil. For a continuous supply, plant seeds every 4-6 weeks over the growing season. Harvest when stems are 6-7" tall.